Ryan Chandler is an extremely versatile rider that has begun to prove himself in just his first season of racing in 2012. Previously he rode sporadically, but always wanted to compete, now after just one season of racing in the expert class he has become a professional athlete. Ryan shows ability in both cross-country, and downhill. His strengths shine on technical single track where bike handling ability is paramount. 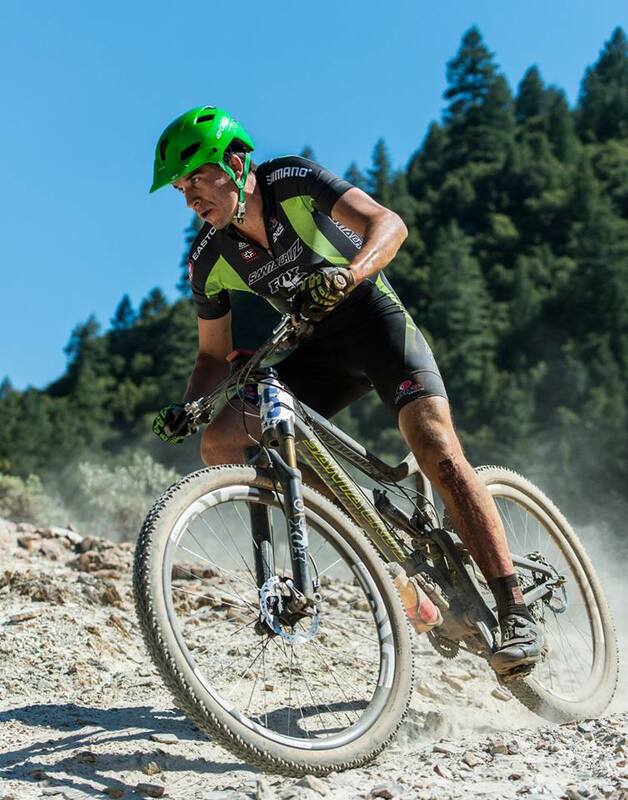 A couple of his notable achievements include Placing 5th Pro in the Downieville All Mountain Championships. 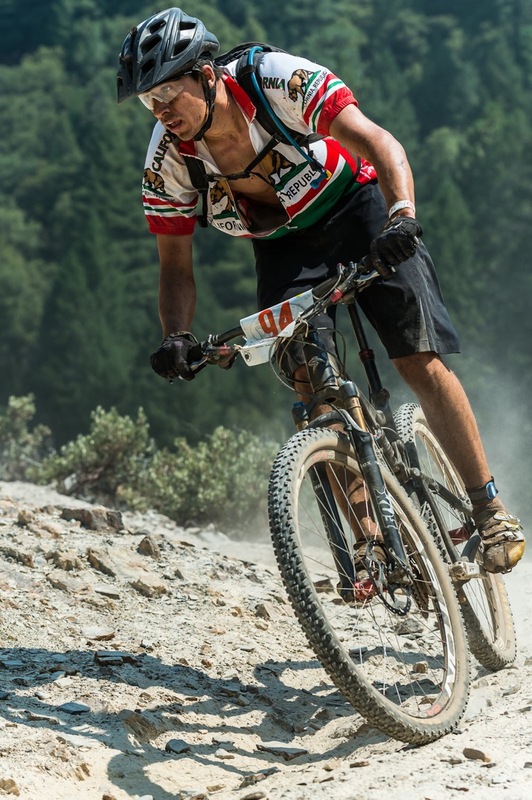 Also, In 2012 he won both the 2012 Cat 1 Downieville XC and Downhill races which gave him the All Mountain title. Furthermore, he placed 2nd in the cat 1 Marathon Nationals in Bend Oregon. Another aspect which makes Ryan unique is his mechanical background. With many classic car restorations under his belt he has gained knowledge of how things work. He loves to wrench on his own bikes, as well as lend a helping hand to those who may need it. Putting products to the test and knowing how they work allows him to fine tune his bike for any event. Competitive and driven to succeed, Ryan learned at a young age that hard work pays off. Currently completing his architecture degree in San Luis Obispo California, Ryan has been enjoying the great weather and technical, rocky trails of the central coast. This being his first season of “real training” as he calls it, he is looking forward to a successful year racing as a pro. As for my life outside of racing, I am in my last quarter of a five-year Bachelors of Architecture degree at Cal Poly in San Luis Obispo. I still live and breathe bicycling even in my academics. 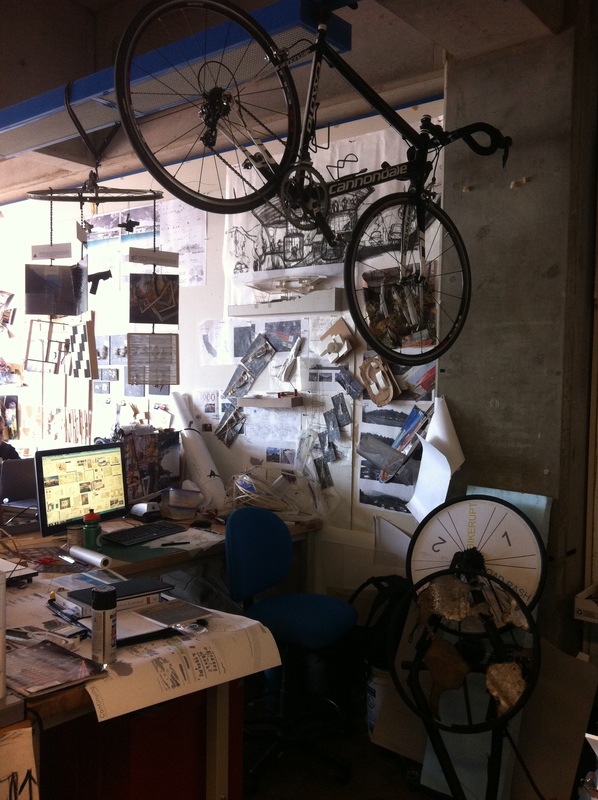 Currently I am designing a conceptual bicycling facility in Fairfax Marin County for my fifth year thesis. It consists of a Velodrome, Dirt pump track and skills area, Cafe, Bike Shop and advocacy offices for the Marin County Bicycle coalition. Most of you probably know the site; the parking lot where you park to ride Tamarancho. Although it is a hypothetical project it is a great learning experience for my last year here at Cal Poly. Below is a picture of my Studio nook where all the design work, model building and studying happens. Notice how most of the models are built from old bicycle parts. The messier the studio is the better.